Ignatius, the third bishop of Antioch, was a student of John the Apostle. 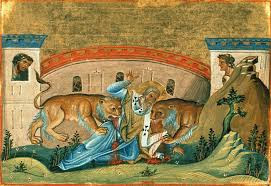 He was killed en route to Rome by being fed to wild beasts. He wrote a series of letters, forming very early Christian theology on topics including ecclesiology, the sacraments, and the role of bishops.